Changing mobile number will transfer your account information, groups in which you have been added. 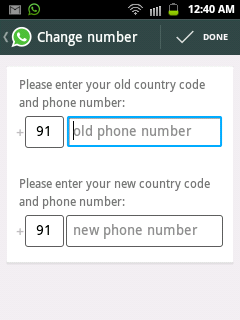 To change your mobile number go to Whats App Settings > Account > Change Number, than enter your old phone number and in next filed enter the new phone number, after doing this you will receive confirmation code on your new mobile number after you confirm the code in the Whats App you will be successfully changed your Mobile Number on Whats App. 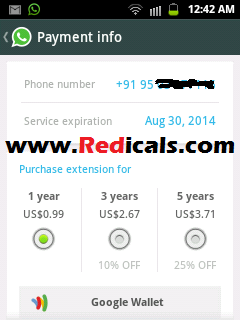 Whats App is free only for 1 Year and from second year you will need to pay subscription and if you want to know your validity of your Whats App Account go to Whats App Settings > Account > Payment info, it will show you Whats App service expiration date. 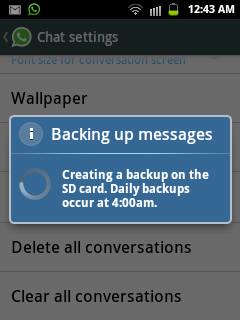 Now you can Disable Auto Download of Images, Audio and Video in Whats App. 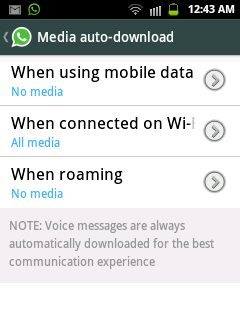 go to Whats App Settings > Chat settings > Media auto-download and now disable the media you want to stop auto-download to your phone. Now you can change your font size on Whats App, Goto Whats App Settings > Chat settings > Font size, Now select small, medium and large. 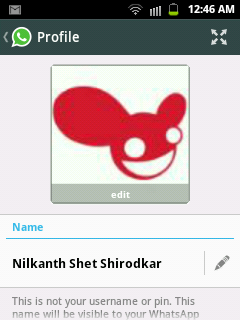 Now you can easily Change your Name and your DP on your whatsapp account, go to Whats App Settings > Profile. Now You can delete your Whats App Account, go to Whats App Settings > Account > Delete my account, Now enter your phone number and then select Delete my account. 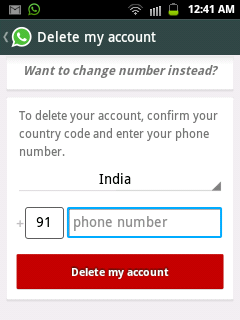 Now your Whats App account will delete your account profile, conversation history, and also will be removed from group.